Oftentimes, clients come to Koeckritz Rugs requesting a custom rug uniquely suited to their space. 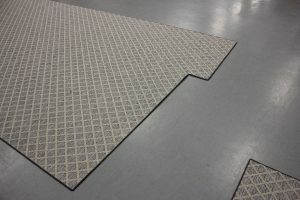 Our craftsmen then take that rough drawing and crafts a custom cut rug solution perfect for their needs. As you can imagine, each project – and each client – presents a different set of needs and challenges. For example, we recently had a customer contact us for a custom outdoor rug custom cut specifically for a home’s balcony in Michigan. Among their wishes was a nice space to enjoy summer days and evenings outside, so they needed a rug that can survive the elements. In addition, the client was looking to inspire a ‘casual beach’ feel in their space. With our expert staff collaborating directly with the client, we were able to achieve a space that perfectly captured that summer on the beach feel. Overall, this project took about two weeks, including delivery to their home. Request a sample. You will be able to peruse complimentary samples of our materials and choose the one that works best for your space. Provide a drawing. 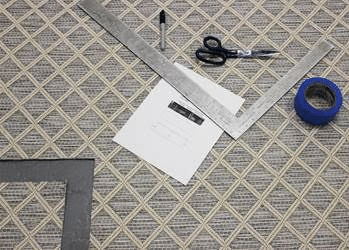 We’ll require a drawing of your ideal rug shape,complete with desired measurements. If you like, a photo of your space is often helpful. Receive a quote. 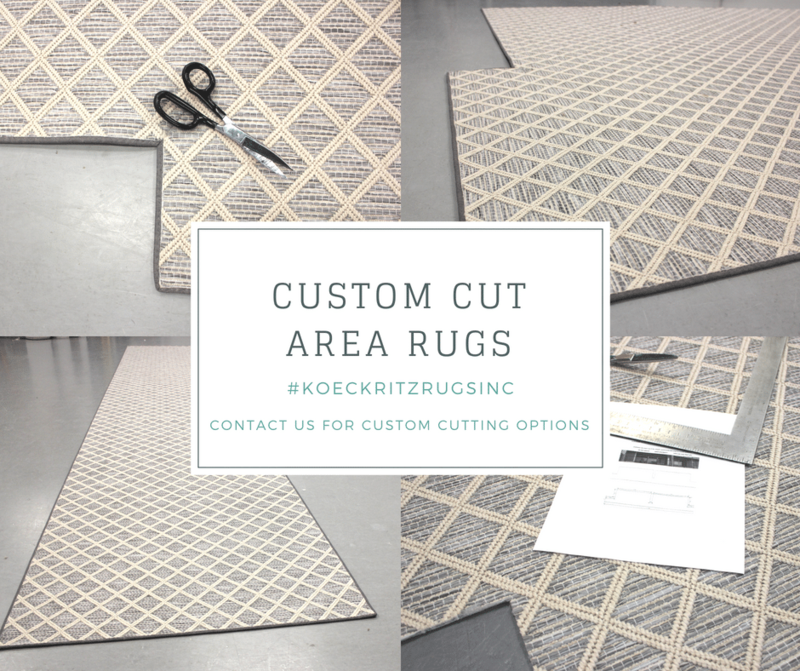 Based on the material, size of your planned rug, and amount of customization, Koeckritz Rugs will present you with a quote for your request. Customizing. After you’ve ordered, sit back and relax, Koeckritz completes all the cutting and finished edges for you. Shipping. After your rug is complete, Koeckritz Rugs will package, and ship your creation directly to your preferred shipping address. Production time for custom orders can take anywhere from one to three weeks, depending on customization and shipping distance. As mentioned, this particular rug project took approximately two weeks. If you are in need of a custom cut area rug for your space, or if you have other questions or concerns, reach out and contact us today.